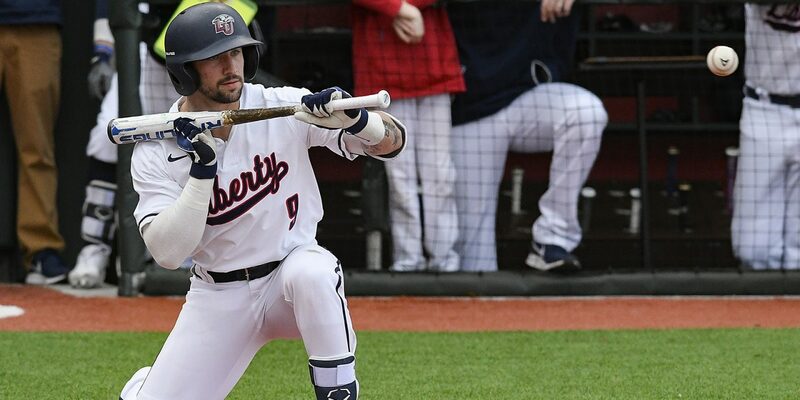 Liberty baseball defeated Richmond and romped ASUN foe Stetson to clinch a series win over the Hatters and inch closer to a regular-season conference title. 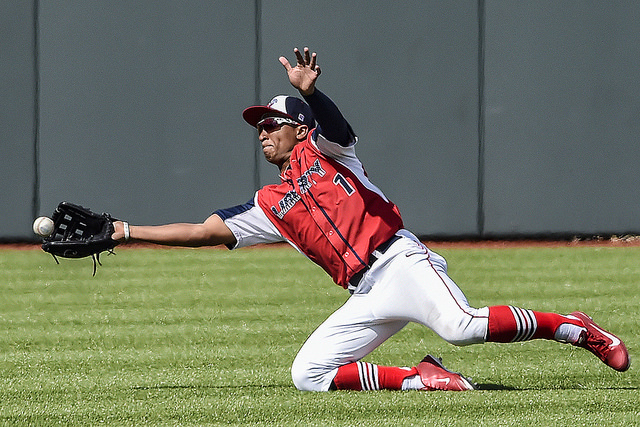 The Flames offense erupted for 22 hits in Sunday’s rubber match victory. 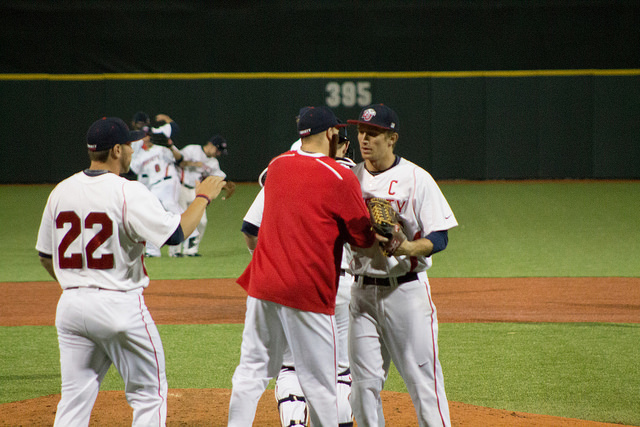 Liberty surrendered a run in the fifth and three meaningless scores in the ninth but rolled to an easy 15-4 victory. Liberty improved to 27-8 (9-3 conference) with the win and Stetson dropped to 16-19 (5-4 conference). The team’s 22 hits are a season high for the Flames, who recorded 17 hits against North Alabama April 5. 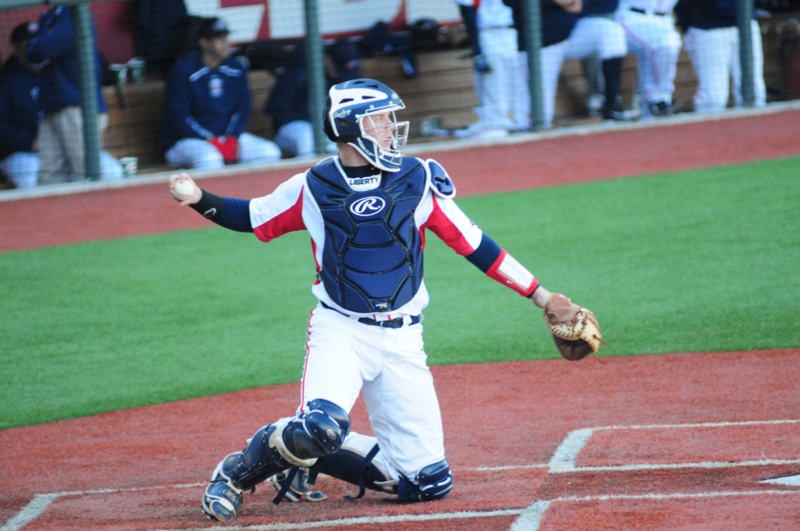 Eight of Liberty’s nine batters recorded a hit, and seven of nine batters recorded two hits. Freshman lefty Joseph Adamentz stymied the Hatters en route to his fifth win of the year: holding them to one unearned run on three hits over six innings. 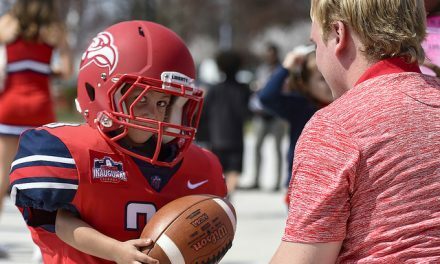 Liberty holds a three-game lead in the win column over second place Florida Gulf Coast (6-3 ASUN, 24-12 overall) in the conference standings and is the only remaining ASUN team with less than ten overall losses. The Flames will put their 5-0 ACC record on the line Tuesday at Wake Forest before a hosting the first of a three-game series vs. North Carolina A&T Thursday evening. Tuesday, Thursday and Friday’s games will all begin at 6 p.m. Saturday’s first pitch vs. the Aggies is slated for 2 p.m.
NextWe’re seeking creatives to help grow our brand!